There is a consensus within the scientific community that more cases of asthma have surfaced over the last four decades than previously reported. The prevalence of asthma is consistent across all western countries. On the other hand, at this point in time, there may be a leveling off period. Some research is showing a decline or a leveling off of new asthma cases reported in the United Kingdom. The bulk of the research was done on children (13-14) and found a 20 percent decrease in asthma symptoms among this cohort. Asthma is an inflammation of the air passageways, which constricts (narrows) as a result of irritants getting into the passageways and traveling to the lungs. Asthma is an immune disease and reacts in the same way as an allergy. The immune system is activated when it thinks foreign toxins are invading the body and as a result the airways fill up with mucus and the antibody histamine is produced. People with asthma have difficulty breathing because of the inflammation. Sometimes the symptoms can be so severe that hospitalization is necessary. The exact cause of asthma is not really known at this time. However, pollution and smoke are big triggers. The Western Hemisphere is very polluted with car exhaust, factory expulsion, carbon dioxide emission and so it. It is no wonder there is a greater than expected prevalence of asthma cases reported within the last 40 years. 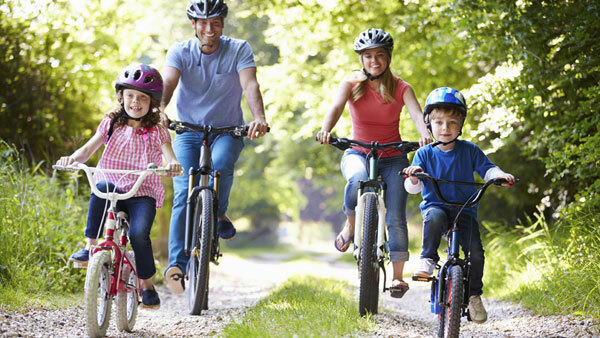 There are approximately 60 million people in the United States who suffer from asthma and allergies and that translates to one out four Americans have either asthma or allergies. The scientific community estimates that 20 million people suffer from Asthma, which is can be expressed as one in fifteen people. Half of these asthma cases are “allergic-asthma. The prevalence of asthma unlike the United Kingdom has increased by 50 percent since 1980, among all age groups, racial groups and both sexes. Every day in America, there are 40,000 individuals who miss work or school because of asthma. There will be 30,000 who will have an asthma attack. 5,000 of these people will have to rush to the hospital with severe breathing problems. Out of the 5,000, 1,000 individuals will have to be hospitalized and finally 11 people will die from asthma. Asthma is the biggest chronic disease affecting children. Close to 5 million asthma sufferers are under the age of 18. One out 20 children is reported as having asthma. There will be more male children suffering from asthma than female. 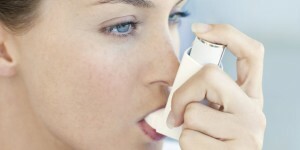 In adulthood the situation is reversed, asthma will be more prevalent among women than men. There are more cases of asthma reported in children, this number represents between 7 and 10 percent, as compared to adults, which is 3 to 5 percent. The prevalence for asthma among African Americans is slightly higher than for Caucasians. There are differences in the prevalence of asthma among ethnicities. The rate of asthma is higher among the poor. There are correlations between the incidence of asthma and poor air quality, indoor allergens, and lack of proper education and medical care. Each year one quarter of all emergency room visits are due to asthma attacks. There are approximately 2 million asthma emergency room visits. There are 10 million asthma related outpatient visits and 500,000 hospitalizations resulting from asthma attacks. The asthma sufferers usually stay in the hospital for about three days. Children represent 44 percent of asthma related hospitalizations. Asthma is the third highest reason for children’s hospitalization. Furthermore, asthma is the number one reason for absenteeism from school (14 million missed days). The death rate from asthma for children has increased by nearly 80 percent since 1980. African Americans are at three times at higher risk for hospitalization than Caucasians. African Americans are at a three times higher risk for dying than Caucasians. African American woman have the highest mortality rate across ethnicities, this is a full 2.5 times higher rate of death from asthma compared to Caucasian women.